You are browsing the archive for SCOM. Last week, I had to move the Operations Manager DB (OpsDB) from one of my customer from SQL Server 2005 to SQL Server 2008. On Internet, you have a lot of person who already shared their experience, findings, problems about that migration. I would like now to share my notes, compilation of posts coming from different sites (URL are provided at the end), that I used to successful migrate that DB. Stop the System Center Management, System Center Data Access, and System Center Management Configuration services on the root management server and the System Center Management service on all the management servers. Start a backup /restore of the Operations Manager DB, from the SQL Server 2005 to the SQL Server 2008. Nothing Special at this point, just a classical backup/restore. Ensure to copy also all the existing the permissions. The following actions have to be taken on the RMS and all the MS.
Log on to the management server with Administrator permissions. Click Start, select Run, type regedit in the Open box, and then click OK to start Registry Editor. Under HKEY_LOCAL_MACHINE\Software\Microsoft\Microsoft Operations Manager\3.0\Setup, double-click the value DatabaseServerName, and then change the value to the hostname of the SQL Server-based computer now hosting the OperationsManager database. If you are using a named instance of SQL Server, be sure to use the ServerName\Instance name format. On the SQL Server 2008, update the OperationsManager database with the New Database Server Name, and ensure that the account that you are logged on with has sufficient privileges on the SQL Server instance. 2. Expand Databases, OperationsManager, and Tables. 3. Right-click dbo.MT_ManagementGroup, and then click Open Table if you are using SQL Server 2005 or click Edit Top 200 Rows if you are using SQL Server 2008. 4. Change the value in the SQLServerName_6B1D1BE8_EBB4_B425_08DC_2385C5930B04 column to reflect the name of the new SQL Server-based computer. In order to support regular expressions in Operations Manager SQL queries, the development team needed to create CLR functions that use .NET’s RegEx library. lost this setting in the OperationsManager Database. After moving your OperationsManager Database–you might find event 18054 errors in the SQL server application log. Because in this process – we simply restore the Operations Database ONLY, we do not carry over some of the modifications to the MASTER database that are performed when you run the Database Installation during setup to create the original operations database. Just check if the permissions of the new server are ok.
Open Microsoft SQL Server Management Studio, and in the Object Explorer pane, navigate to Security and then expand Logins. Locate the SDK Account, and add the account if it is not listed. If the SDK Account is running as LocalSystem, use the format <domain\computername$> in SQL Logins, where <computername> is the name of the root management server. Right-click the SDK Account, and select Properties. In the Users mapped to this login list, in the Map column, select the box that corresponds to OperationsManager (default name). In the Database role membership for: OperationsManager list, ensure that the following items are selected: configsvc_users, db_datareader, db_datawriter,db_ddladmin, and sdk_users. Locate the Action Account, and add the account if it is not listed. If the Action Account is running as LocalSystem, use the format <domain\computername$> in SQL Logins, where <computername> is the name of the root management server. Right-click the Action Account, and select Properties. In the Database role membership for: OperationsManager list, ensure that the following items are selected: db_datareader, db_datawriter, db_ddladmin, anddbmodule_users. Locate the Data Warehouse Action Account, and add the account if it is not listed. Right-click the Data Warehouse Action Account, and select Properties. In the Database role membership for: OperationsManager list, ensure that the following items are selected: db_datareader and dwsynch_users. Where ‘OperationsManager’ is the default database name, replace this name as appropriate. If the query result is ‘0’, the Sql Broker is disabled and you must re-enable it using the following procedure. In the Connect to Server dialog box, select the appropriate values in the Server type list, Server name list, and Authentication list, and then click Connect. Close SQL Server Management Studio. Note : Closing SQL Server Management Studio closes the connection to the database in single-user mode. Depending on your configuration, you might have to manually stop any process that is connected to the database before completing the ALTER query below. On all management servers in the management group, restart the System Center Management, System Center Data Access, and System Center Management Configuration services on the root management server, and then restart only the System Center Management service on the remaining management servers. Normally, if you followed the notes above, the move of your Operations Manager DB must be successful as the one I did. A few months ago, Netapp upgraded, renamed and grouped their Microsoft System Center management pack and Microsoft PowerShell command-lets into one new product, the OnCommand Plug-in for Microsoft. · Complete documentation for all these functionalities. Here we will focus only on the Microsoft Operations Manager management pack. This application has to be installed on a management server, if possible, avoid installing it on the root management server. Copy the file, OnCommand-PlugIn-Microsoft_3.0_x64_NetApp.exe, on the root management server and let’s start the installation by double clicking on it. Unfortunately, we don’t have the choice here, it must run from the RMS. If a previous version of the management pack is installed, like the Data Ontap Appliance Watch PRO 2.1, it will be automatically uninstalled it. Specify the destination folder and Click on Next to continue. As we are only interested by the SCOM Management Pack, we will not install other component. NetApp OnCommand needs to run a Web Service. Create a Service Account that will be local admin of the server on which you install the software. Set the credentials and click on Next. Click on Install to continue. The installation is now in progress, it will install the application, but it will also automatically import/upgrade the NetApp management packs to the Operations Manager Infrastructure. And finally, click on Finish. The next step is to add the Netapp Controllers as Network device. Go to Administration > Network Devices > Discovery Wizard. Specified the IP range and start the discovery. The controllers have been discovered as SNMP devices. Select all the controllers and click Finish. Go to Monitoring > Data ONTAP > Storage Systems > Management Server, choose the root management server that will monitor your Netapp infrastructure and run the Data ONTAP : Run Discovery Task. After a few moments, the Netapp Controllers will automatically appear in the Data Ontap > Storage Systems > Controllers view. Extend the actions pane and click on Data ONTAP : Manage Controller Credentials task. This will start the Netapp Credentials Manager, where we have to specify the credentials for all the NetApp Controllers. When done, go back to the SCOM console, Go to the Authoring section > Management Pack Objects > Rules and search for the Data ONTAP: Discovery Rule. This is the principal discovery rule for all Data ONTAP storage systems. Once you use the SNMP network device Discovery wizard in System Center Operations Manager to discover your Data ONTAP storage controllers, this rule contacts each storage controller and discovers all of its physical and logical storage elements. This rule is disabled by default. You should enable the rule, via an override, for the management server that will monitor your Data ONTAP storage controllers. After a few moments, the entire infrastructure will be discovered and all the views will be populated. when I checked the scheduled reports, the schedule date/time display was set At 12:00 AM on 1/1/001. I opened up a case with Microsoft Support and resolved the issue. Apperantly this is a known issue and the bug will be addressed in CU6. Microsoft was able to give me a hotfix (QFE_MOMEsc_4724.msi) which I applied on all systems that have SCOM Console. I am told that this issue occurs when SCOM 2007 R2 CU5 runs on SQL 2008 R2. I hope it helps to others that run into same problem. I contacted my Microsoft Premier Support Contact and they sent me the hotfix. (Reference : Hotfix for MOMEscalation 4724). This hotfix is simply a new DLL, Microsoft.MOM.UI.Common.dll, that you will have to place in the Operations Manager installation folder on all the machines where you run the Operations Manager Console. When done, just restart the Operations Console, and you will be able to see the Schedule information and edit the jobs without any error message. As this hotfix is not public, you will have now other choice than contacting the Microsoft Support to get it. I received the confirmation that this hotfix will be included in the SCOM Cumulative Update 6, but we don’t know the release date yet. One of my customer requested me to implement the Active Directory Federation Services 2.0 Management Pack on Operations Manager 2007 R2. In fact, there is a second pre-requisites that is not in the ADFS MP guide, we have to disable IP version 6 (IPV6) on the agent computer that is running AD FS 2.0. Click Start, type regedit in the Start Search box, and then click regedit.exe in the Programs list. You have to do the steps above on all the servers running ADFS 2.0. Normally, your ADFS 2.0 servers will now shortly be appear in the Operations Manager Console. As promise, the second part of this series will show you to how to update your Operations Manager 2007 R2 infrastructure from SQL Server 2005 to SQL Server 2008 R2 SP1. Your current SCOM 2007 R2 Infrastructure must be at least Cumulative Update 4 (CU4) Level, but my personal advice it’s to update it first to the last Cumulative Update, the CU5. A brand new server running Windows Server 2008 R2 SP1. .Net Framework 3.5.1 role installed. Microsoft SQL Server R2 2008 source + SP1 Package. Add you SQL Service Account to the local administrator group of the new server. Backup all your SCOM 2007 R2 Infrastructure. Use the default instance, or create a new one, depending of your environment. Review the information and click on next. Configure your Run As Account for the SQL Server. In the Collation Tab, select SQL_Latin1_General_CP1_CI_AS and click next. Specify the SQL Admins for your new SQL Server. Select Install the Native Mode Default Configuration and click Next. Just review the information and click on Next. Just review the information and click on Install. It’s now time to install the SP1, run the SQLServer2008R2SP1-KB2528583-x64-ENU.exe that you have previously downloaded on Microsoft Website. Review the information and click on update. SP1 has been successfully installed. You must back up any custom reports that were authored outside of Operations Manager 2007. For more information about this, see Moving the Report Server Databases to Another Computer in the SQL Server 2008 Books Online (http://go.microsoft.com/fwlink/?LinkId=151513). Go to your current SCOM reporting Server, Add and Remove Programs menu and uninstall the System Center Operations Manager 2007 R2 Reporting Server. Go on your SQL Server 2005, start the SQL Management Studio, select OperationsManagerDB, Tasks, Backup. Select the backup location for your Operations DB. In the options, check Verify backup when finished and click on OK. The backup of the Operations Manager DB completed successfully. Do exactly the same operations than above for the Data Warehouse DB. We’ve got now, two DB Backup files. It’s now time to go on your brand new SQL Server 2008 R2 SP1 server to restore the two databases. Start the Sql Management Studio and choose Restore Database. Check the Restore box next your DB name. In the Destination for restore, you are now able to specify the OperationsManager DB. Review all the information, and click on OK.
Do exactly the same for the Data Warehouse DB. Both DBs are now available. Now, we have to authorize the SCOM service accounts to connect to these newly restored DBs. For that simply go Sql Management Studio, Security Logins and do a right click, chose new login. In the User Mapping part, we have to copy exactly the same rights that we have on the SQL Server 2005. Replicate the exact same configuration, for each Maps to the SQL Server 2008 R2 SP1. If you are using several account to connect to the different Database, apply the same than what we did above for all your accounts. For my lab environment, I just have a second account. We have to Enable the CLR on the Operations Manager DB on the SQL Server 2008 R2 SP1 server. Just copy past the query below. Click on Execute and check the result. Now, in the OperationsDB, search for the table dba.MT_ManagementGroup. Select Edit Top 200 Rows. Change the SQLServerName_6B1D1BE8_EBB4_B425_08DC_2385C5930B04 value from your SQL Server 2005 server name to the SQL Server 2008 server name. Go on your OperationsManagerDW Db, select the table dbo.MemberDatabase. Change the ServerName value from your SQL Server 2005 name to the SQL Server 2008 name. We now have to change the SQL server reference on the RMS server and every MS to point to the new SQL Server. For that, stop the three System Center Services. We have to change the DatabaseServerName value to point to our new SQL Server. Start the 3 Operations Manager Services on the RMS and the System Center Management service on the MS. In the Event Logs, you must see these events. Last but not least, the reporting server. Open Computer Management, in the Computer Management MMC snap-in, expand System Tools, expand Local Users and Groups, and then click Groups. Select only the Reporting Server Part. Specify the name of you RMS server. Specify the name of your new SQL Server. The Reporting is Back in SCOM Console. We could now remove the SQL Server 2005 and enjoy our new SQL Server 2008 R2 SP1. 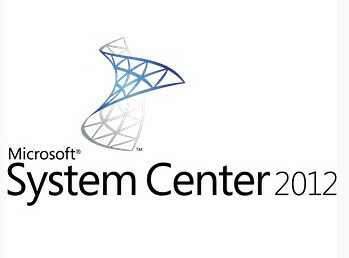 I hope this post will help you to prepare your environment to be ready for SCOM2012. The next post of this series will show you how to migrate your RMS role from Windows Server 2003 SP2 to Windows Server 2008 R2 SP1. I will start this new series of posts about Operations Manager 2012 by explaining how to prepare your SCOM2007 environment to move to SCOM2012. The very first step to do before updating OM itself is to update the existing environment configuration, OS and DB, to be compliant with the OM2012 requirements. Hopefully for us, you will see that there is several OS and DB configurations supported by bot Operations Manager releases, OM2007 and OM2012. As you can see, several configurations are supported by OM2007 and OM2012. In this posts series, we will work on a really small SCOM 2007 R2 infrastructure. We just have, one DB server and one Root Management Server. Concerning the configuration, both are running Windows Server 2003 R2 SP2 X64 and the Operations Manager DBs are hosted on SQL Server 2005 SP3. As we could conclude from the tables above, our current Operations Manager 2007 infrastructure is not eligible for Operations Manager 2012. We have to update the Operating Systems on both servers and the SQL Server version must be also updated. As we have to move from SQL Server 2005 to SQL Server 2008 R2 SP1, we will install a brand new server which will run Windows Server 2008 R2 SP1 and SQL Server 2008 R2 SP1. We will move the Operations Manager 2007 DBs from the old SQL Server 2005 to the new SQL Server 2008 R2 SP1. Don’t worry too much about this part, the second post of this series will explain in detail how to move the Operations Manager DBs from SQL 2005 to SQL 2008. Once done, we will remove the old SQL Server from our infrastruture. Now that our Operations Manager is running on the new SQL Server 2008, we will update the RMS. Our Root Management Server is currently running Windows Server 2003 R2 SP2 X64. To be compliant to SCOM2012, we will have to update it to Windows Server 2008 R2 SP1. For doing this update, we will first install a brand new server running Windows Server 2008 R2 SP1 and install it as a new Management Server in our current SCOM 2007 R2 infrastructure. Once done, we have to promote our brand new Management Server as Root Management Server of our OM infrastructure. The old RMS will be retrograded to a Management Server role. and finally, we will remove the Management Server which is running Windows Server 2003 R2 SP2 X64. We have now an environment eligible to Operations Manager 2012. As we noticed, there is several step to accomplish. This first post was the actions plan, the theory, in my next posts, we will do it in practice. Stay tune for the next post, in which I will explain in detail how to move the Operations Manager DBs from SQL Server 2005 to SQL Server 2008 R2 SP1. As you probably know, in SCOM 2012, there is no RMS role anymore. For keeping backward compatibility with some management packs that required the RMS role, Microsoft created the RMS Emulator role. By default this role is hosted on the first management server that you installed. As you can see, SCOM2012.vnext.be server is hosting the RMS Emulator role. This is confirmed by the following PowerShell command : GET-SCOMRMSEmulator command-let.